The popularity of Andy Warhol will probably mean that many people will flock to Dulwich to see their latest exhibition. And this is exactly what I did on Tuesday morning. Sean, my trusty sat nav, took me round the North Circular and through the Rotherhithe Tunnel and soon as I was outside the gallery ready to have a coffee and a quick sunbathing session in the gardens of the Dulwich Picture Gallery. Warhol is renowned for turning himself into a brand and he is one of the most recognisable and important figures in recent art history. His iconic prints of Marilyn Monroe and Campbell’s soup in particular will never leave our visual vocabulary. Andy Warhol: The Portfolios focuses on the period from 1962-84 when he worked almost exclusively with silkscreen printing. Using a method more commonly practised in commercial reproduction, Warhol transformed famous faces and still lives into fine art using multiple colour combinations (that required separate screens). Warhol was a master at this technique and although he set up a factory-like system where he was rarely present to pull the screens himself, he selected the colours, the design and the form, and chose which prints were to be published. The quality of these prints is of the highest standard, the colours are dazzling and the finish is exemplary. 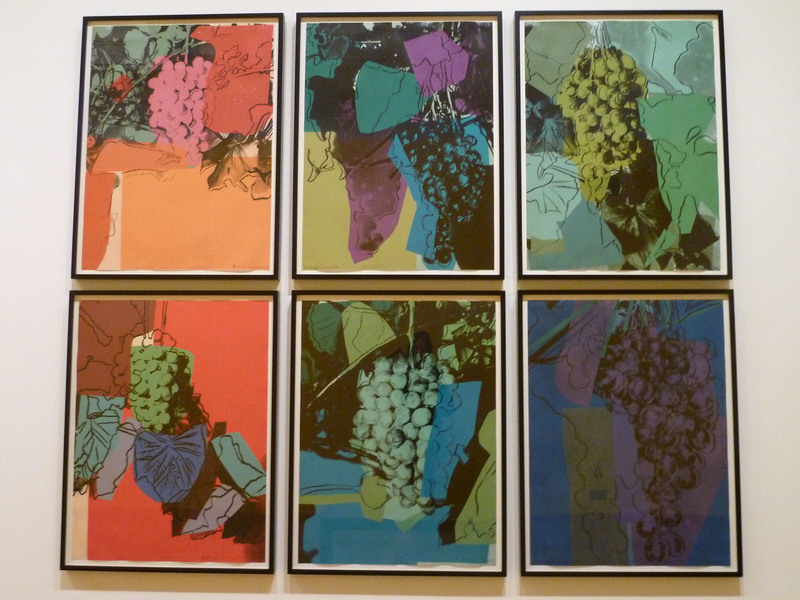 Andy Warhol, Grapes D. D., 1979. Own photograph. I don’t think the exhibition fully shows off the impact of all of Warhol’s work. It’s nice but it’s a bit of a gentle show that doesn’t do enough to draw people in beyond the fact that the works are Warhol’s. 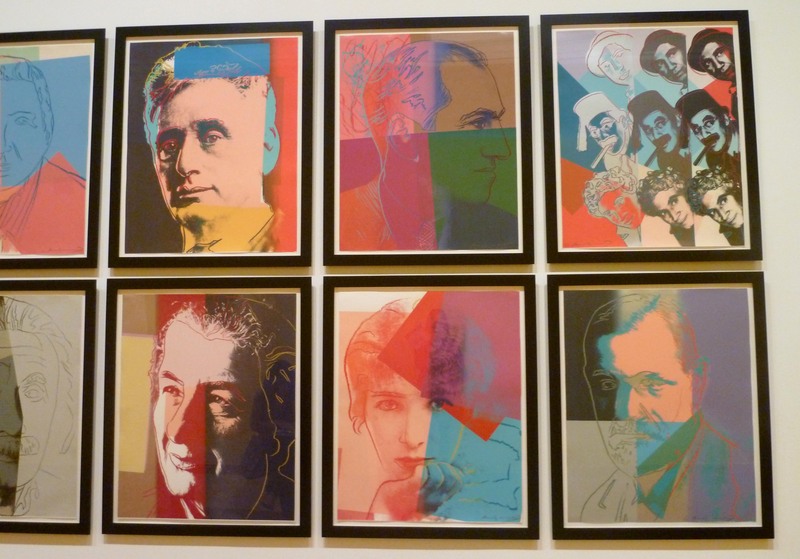 Warhol prints at the Dulwich Picture Gallery. Own photograph. 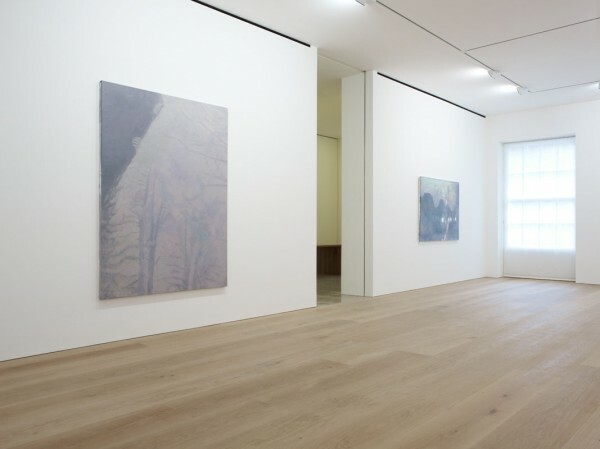 The gallery is naturally long and narrow, providing a kind of viewing experience that is different from the norm. The prints are densely hung, recalling an 18th century salon print room, as opposed to the usual white box hang customary for Warhol’s. I often find the Dulwich space quite difficult and it certainly doesn’t work for all exhibitions. Here, there are no wall panels or captions, instead the works are allowed to speak for themselves. To be fair, we already know a lot about these works and many of them don’t require much explanation. 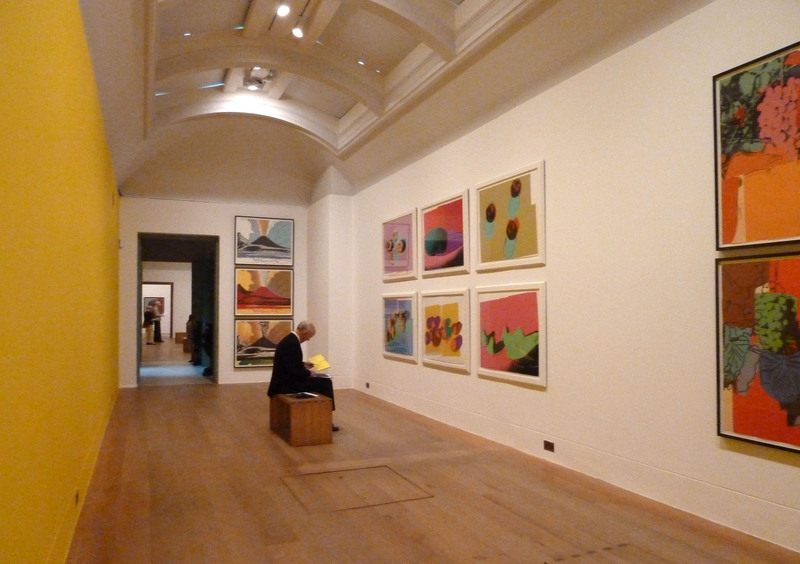 Andy Warhol: The Portfolios in situ at Dulwich. Own photograph. Dulwich has chosen not to produce an exhibition catalogue to accompany the show as they’ve rightly said that there are so many books already in existence. In general though, there seems to be something missing here. 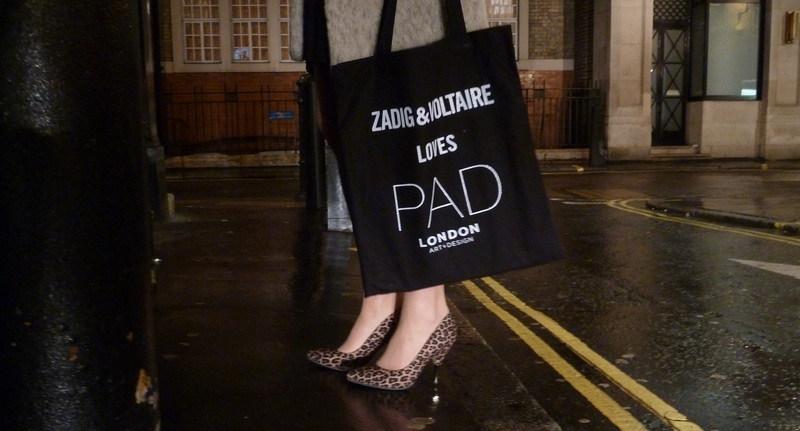 Not just a catalogue but that ‘je ne sais quoi’ that would give this show more of a spark. 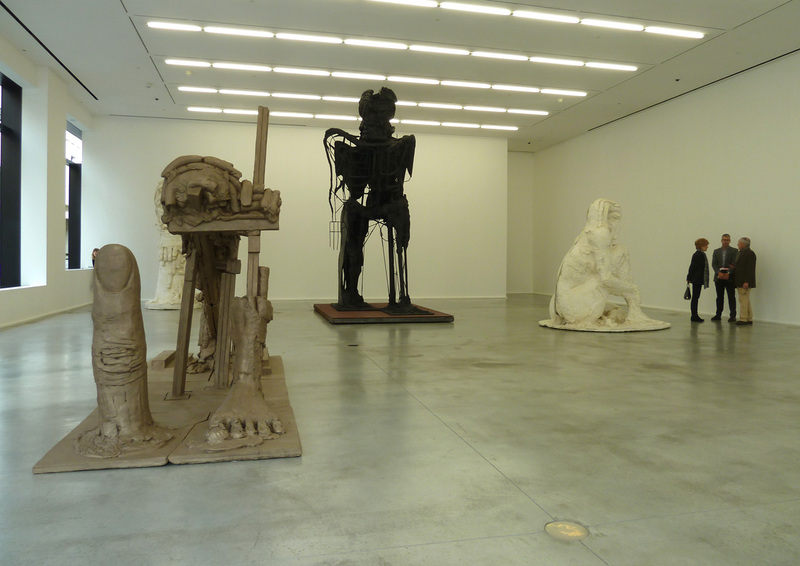 Running concurrently is an exhibition of Philip Haas works, a set of four 15-foot high fibreglass sculptures (found outdoors) and their maquettes. The works are huge recreations of Giuseppe Arcimboldo’s 16th century paintings that Haas aims to bring into a physical reality. 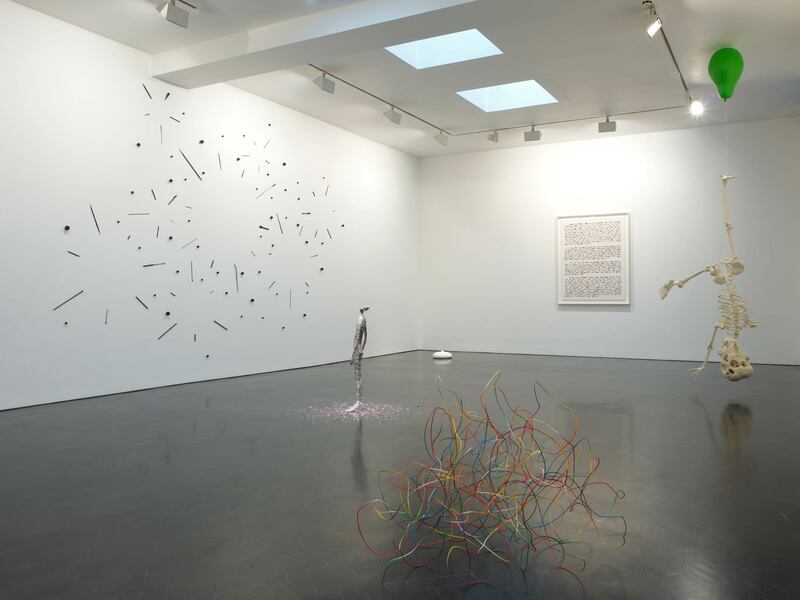 The small maquettes are actually more effective than the finished pieces although, placed in the Gallery, they distract from Dulwich’s amazing permanent collection. The setting of the gardens is more appropriate with Winter now a three-dimensional gnarled tree trunk emerging from the Gallery grounds but at this scale the pieces become too garish. 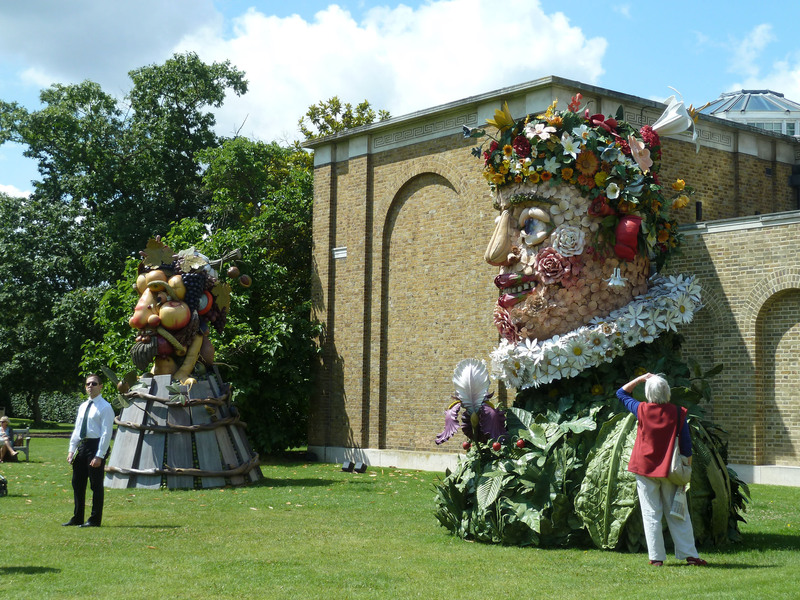 Philip Haas works in the Dulwich gardens. Own photograph. A warden actually told me that ‘the kids love it’; although it’s great to attract all age groups into the Gallery I’m not sure that this should be the selling point of an exhibition at a gallery of such calibre. 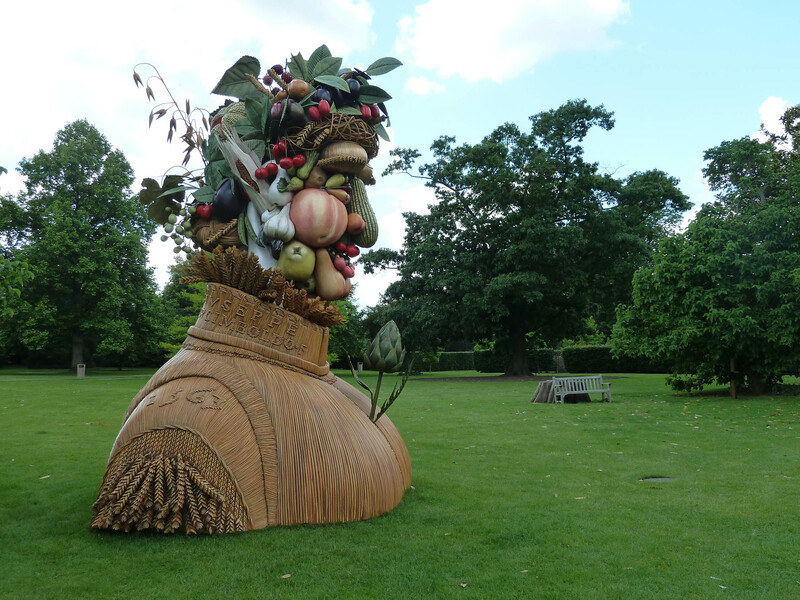 In my opinion, although striking, these works make a mockery of the Arcimboldo paintings on which they are modelled. The faces lose the profound sensitivity that Arcimboldo managed to create through assembled fruit. It seems strange to have these comic playful pieces juxtaposed with the iconic imagery of Warhol. For obvious reasons the Warhol exhibition is being given far more prominence in the literature produced but the Haas can’t help but make an immediate visual statement when you walk in. I did enjoy the Warhol but I left feeling a bit unsure. Dulwich is always a treat but I think I expected a little more. My lack of excitement wasn’t helped when Sean let me down on the homeward journey and decided that I should go home via Clapham and Chelsea. I had no idea I’d set off in the wrong direction and so my cunning plan to avoid central London was foiled. Andy Warhol: The Portfolios is at the Dulwich Picture Gallery until 16th September 2012, www.dulwichpicturegallery.org.uk. As many of you will know, I’m somewhat geographically challenged. When I was studying, I found a quick and easy way from home to the Strand. As a result, when I drive around London (and I mean anywhere in London), I operate rather like a homing pigeon. I can get to pretty much anywhere as long as I plan my route around the Strand. So you can imagine my delight when the online route planner advised me to go exactly that way to get to the Dulwich Picture Gallery on Tuesday morning. And better than that, the route then continued past VAULT. I couldn’t stay away even for a day. I got to Dulwich without any real mishaps and managed to park outside the Picture Gallery. What a relaxing way to travel – well, apart from the traffic, speed cameras and red lights but that’s all par for the course. At least I had heating the whole way! Anyway, the reason for my visit to the other side of London was the opening of Dulwich’s new Van Dyck exhibition which focuses on the year and a half he spent in Sicily. 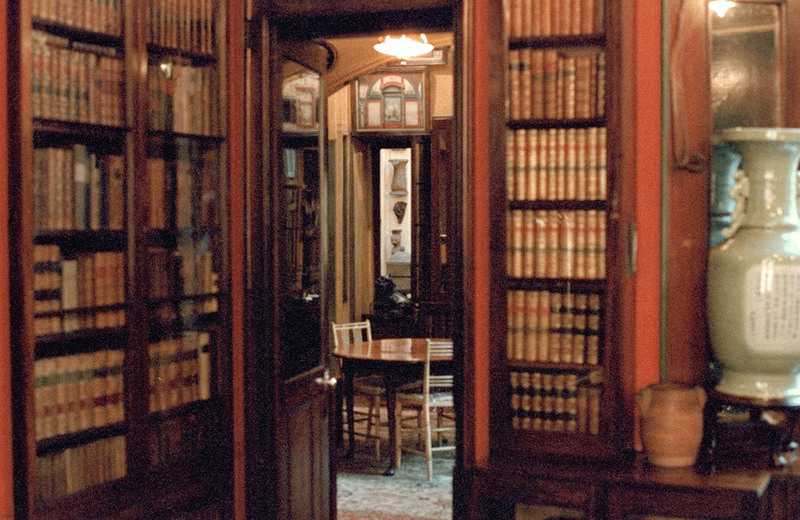 The exhibition brings together all 16 of the works believed to have been executed during his stay in Palermo. Normally, when we think of Van Dyck we think of Charles I or the Swagger portraits and, until now, very little study has been devoted to this earlier period. Van Dyck exhibition at the Dulwich Picture Gallery. Own photograph. The key point to be aware of here is that Van Dyck only spent a short amount of time in Sicily and his paintings were quite time-consuming enterprises. 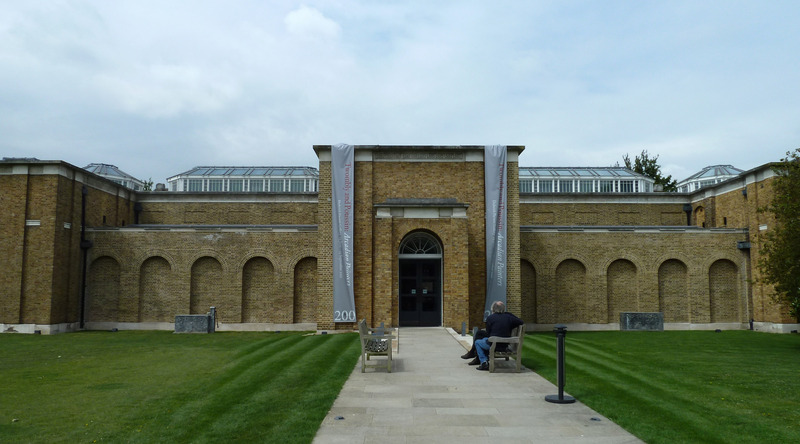 I warn you of this because I was initially surprised by the size of the show – half the normal amount of rooms used for Dulwich’s temporary exhibitions. Admittedly, the three rooms used here are beautifully curated with deep purple and dark grey walls. Although compact, it’s full of personality –the exuberance of Van Dyck, Dulwich and the curator, Xavier Salomon. It’s a dramatic exhibition. 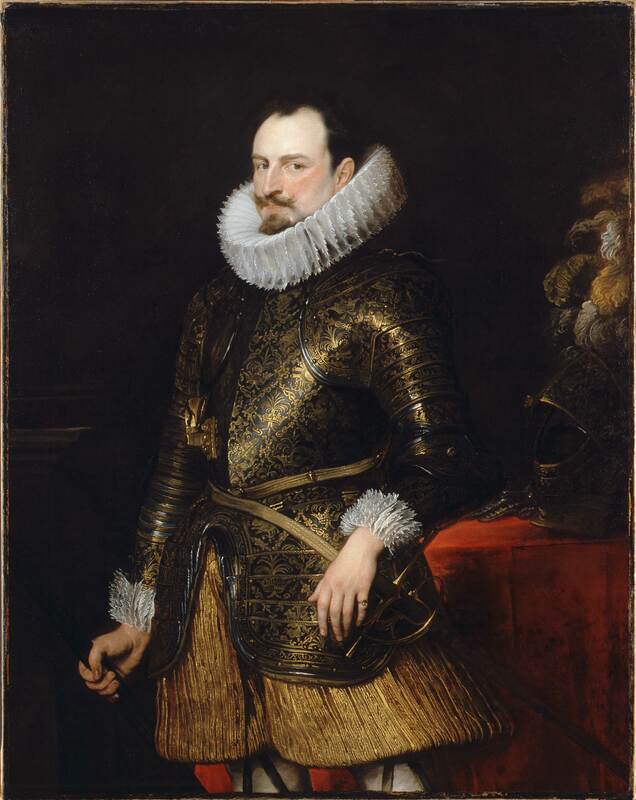 Sir Anthony Van Dyck, Emanuele Filiberto of Savoy, Prince of Oneglia, 1624. Courtesy of the Trustees of Dulwich Picture Gallery and via www.dulwichpicturegallery.org.uk. 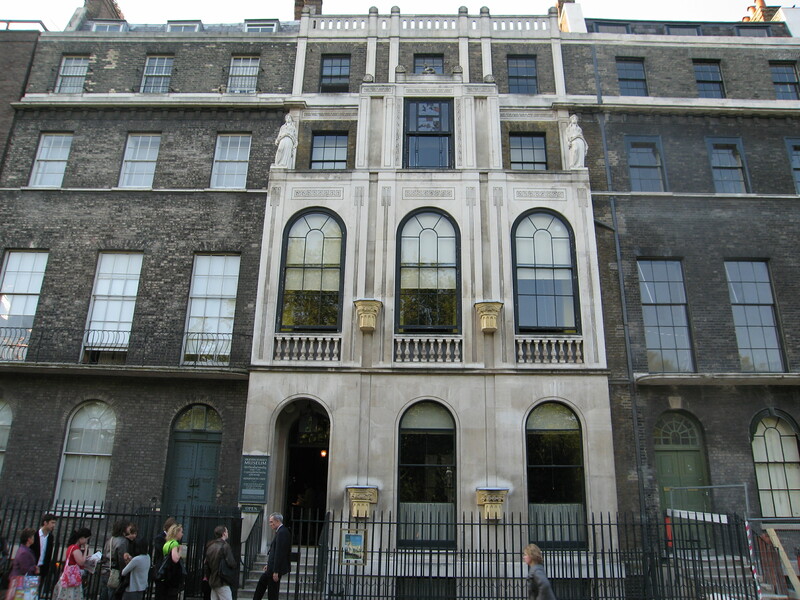 Hearing Xavier give his exhibition tour took me back to my days at The Courtauld when he taught a survey course in my 1st year. 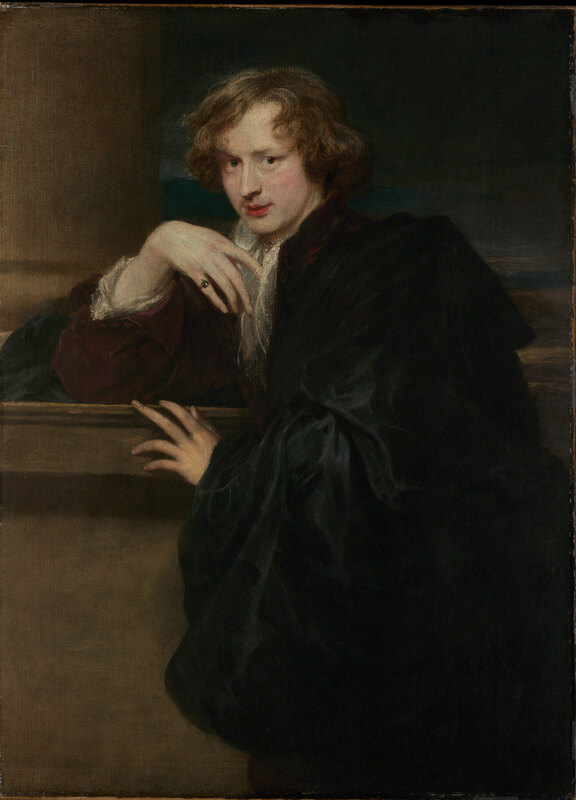 Until 1999 it had been thought that Van Dyck only spent four months in Palermo but recent discoveries, made possible by the Sicilian state archives, have been able to prove the full time frame using legal documents, invoices and papers regarding commissions. Sir Anthony Van Dyck, St Rosalie in Glory, 1624. Courtesy of The Menil Collection, Houston and via www.dulwichpicturegallery.org.uk. Here, we are told the story of how Van Dyck arrived in Palermo in 1624 expecting to complete a commission to paint Viceroy Emanuele Filiberto of Savoy and head home. But, things didn’t go quite to plan. In May 1624, a ship from Tunis arrived at the busy port of Palermo carrying with it bubonic plague which, by December that year, had killed off most of the population. Surrounded by death, catastrophe and disaster, Van Dyck had little choice but to prolong his stay and, amidst this panic, he set up studio, establishing a practice and producing a variety of works for local clients – many of which are thought to remain undiscovered. 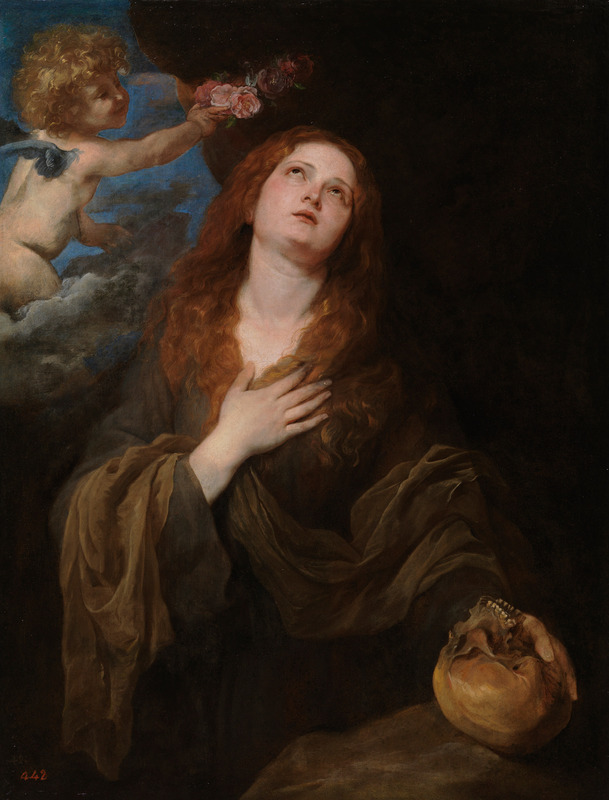 Towards the end of summer, the bones of Saint Rosalia were discovered in a nearby cave and carried in procession through the city; after which the plague ceased and Saint Rosalia was declared Palermo’s protector. 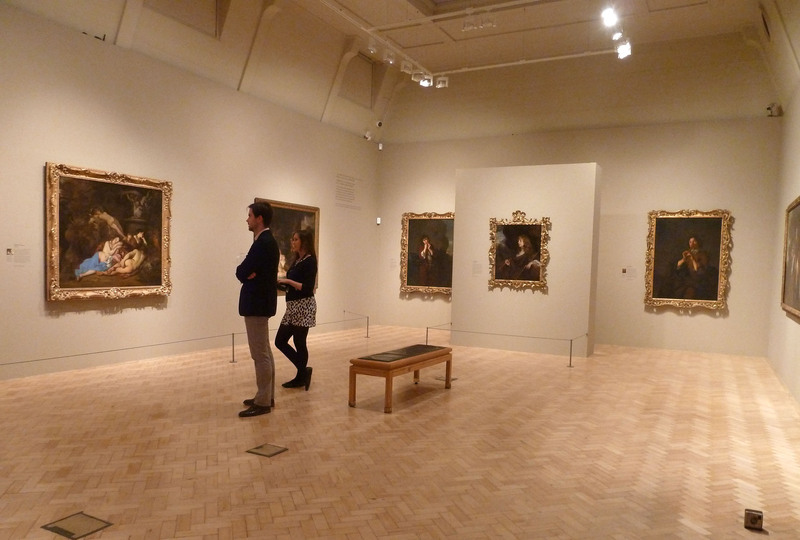 In the final room, the exhibition brings together Van Dyck’s images of the patron saint. The painting loaned from the Prado is the smallest of all his images of her and is particularly moving. 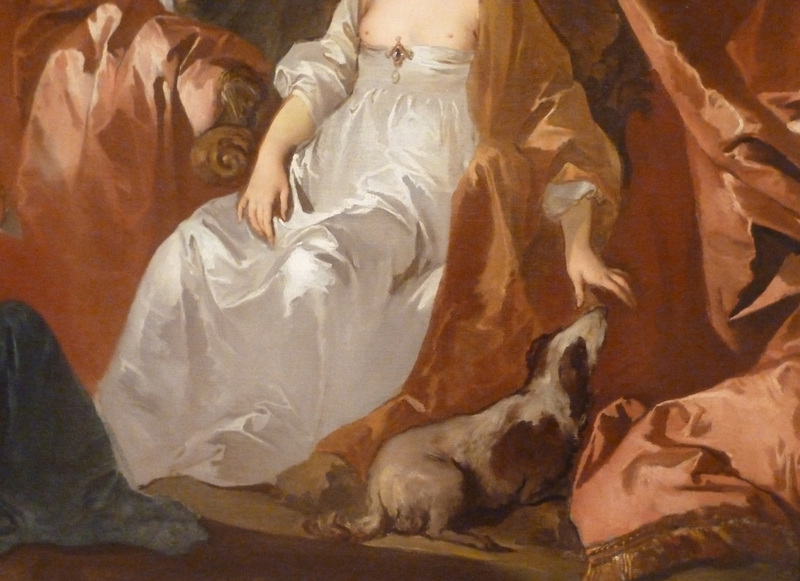 Although this is compositionally similar to the others, Van Dyck painted Rosalia in many different guises. In this devotional image, she looks up to heaven while an angel offers her a crown of roses. In her left hand she holds a skull, referencing the recent mortalities of the plague and the iconography of hermit saints, while her right clutches her breast and heart. These paintings were made as forms of prayer and to give thanks to God and Rosalia for their benevolence which ended the city’s suffering (better late than never – Van Dyck himself must have been grateful for his survival). 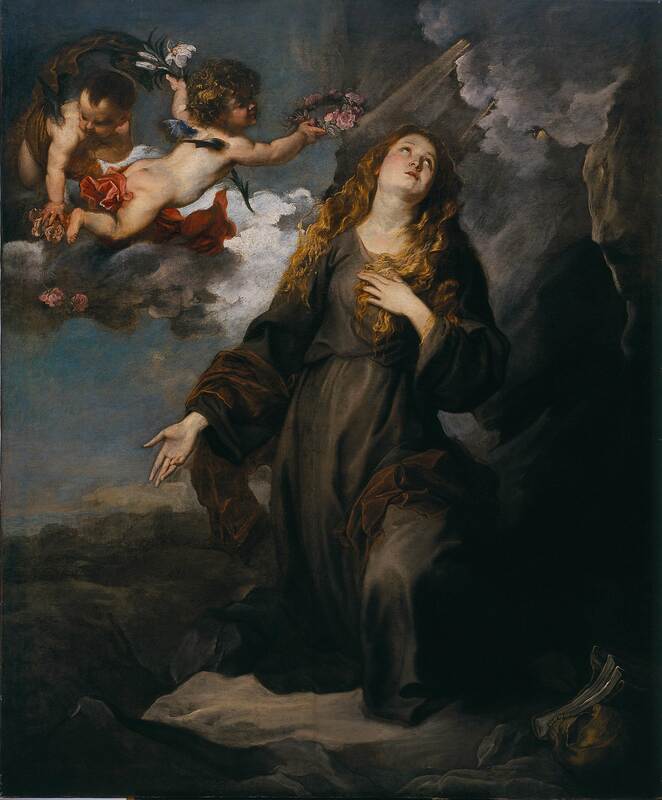 Sir Anthony Van Dyck, Saint Rosalia, c. 1625. Courtesy of Museo Nacional del Prado, Madrid and via www.dulwichpicturegallery.org.uk. 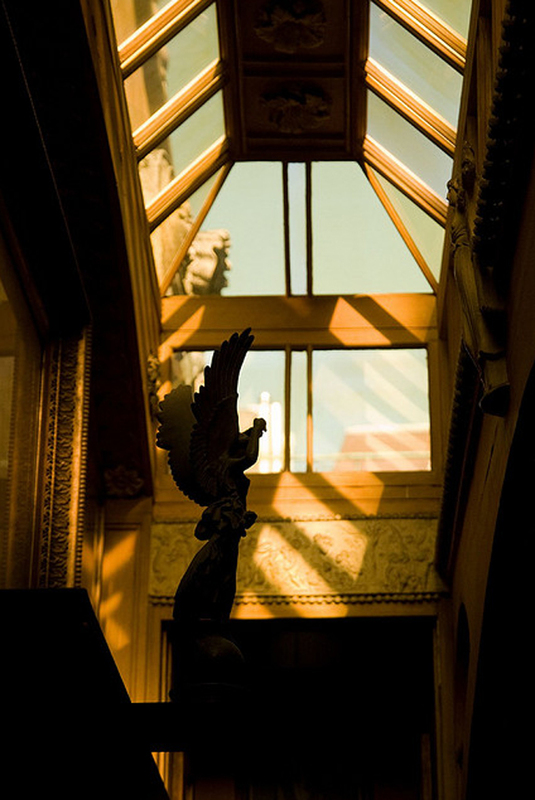 The painting of the Viceroy is one of the highlights of the permanent collection here. It is incredibly rare for the armour seen in the painting to have survived in such good condition and it is an interesting juxtaposition and point of comparison to see them side-by-side. 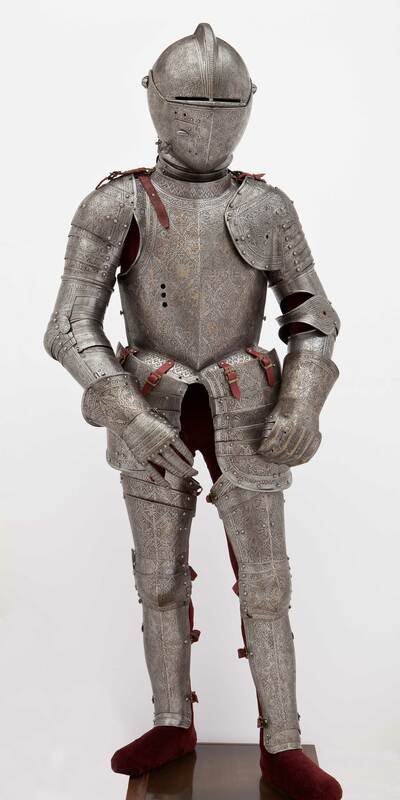 Armour was a very valuable possession (described by Xavier as the Porsche or Ferrari of the day) and, ironically, at the time, would have been worth more than any of the paintings now on show here. But this image is a definitive one showing the viceroy majestically armoured and prepared against his enemies. Sadly, shortly after the painting was finished and by July of that year, he too had been lost to the plague after leaving the confines of his palace to access the situation and inspect the city. Maestro del Castello de Tre Torri, Armour of Emanuele Filiberto of Savoy, c. 1606. Courtesy of Patrimonio Nacional, Madrid and via www.dulwichpicturegallery.org.uk. Room two focuses on two large devotional works, that were most probably painted for the aristocracy of the island, as well as two highly emotive portraits of Sofonisba Anguissola. A fragment of a larger portrait that has been cut down on all sides, Sofonisba Anguissola (1624) is touching evidence of the young artist’s encounter with an aged celebrity painter. 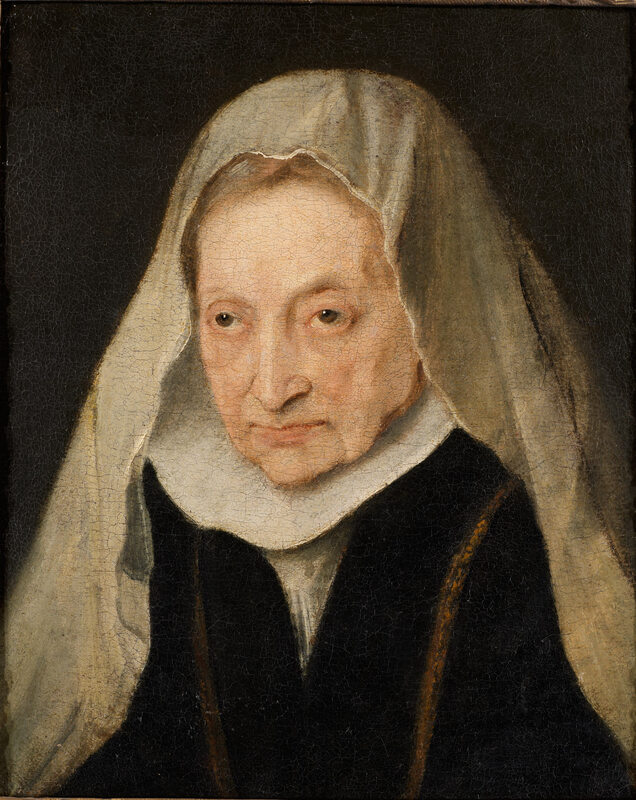 Sir Anthony Van Dyck, Sofonisba Anguissola, 1624. Courtesy of the Sackville Collection, Knole and Matthew Hollow Photography and via www.dulwichpicturegallery.org.uk. This is a historical exhibition, using a limited number of paintings to elucidate a period of history. The self-portrait of Van Dyck seen at the start is not actually from the period in Palermo (but through x-rays we actually know that he did paint a self-portrait under one of the paintings of Rosalia). He’s dressed as an aristocrat – a young Flemish dandy arriving in Palermo. He was dressed in rich attire and used to the company of noblemen. 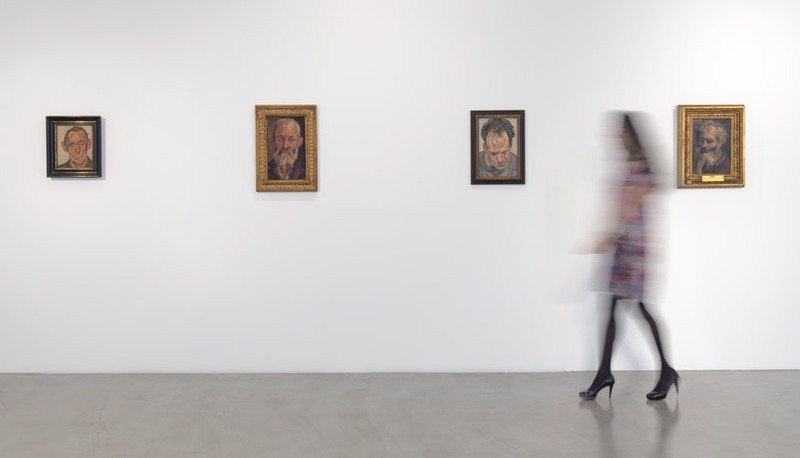 He knew he was something special – a point that we see emphatically by looking at this exhibition. Sir Anthony Van Dyck, Self-Portrait, 1620-21. 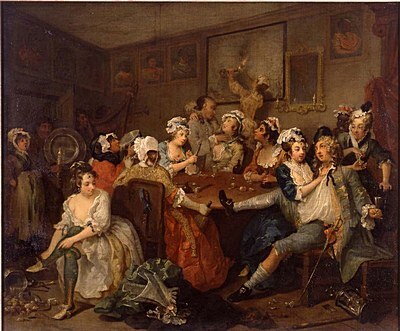 Courtesy of The Metropolitan Museum of Art/Art Resource/Scala, Florence and via www.dulwichpicturegallery.org.uk. 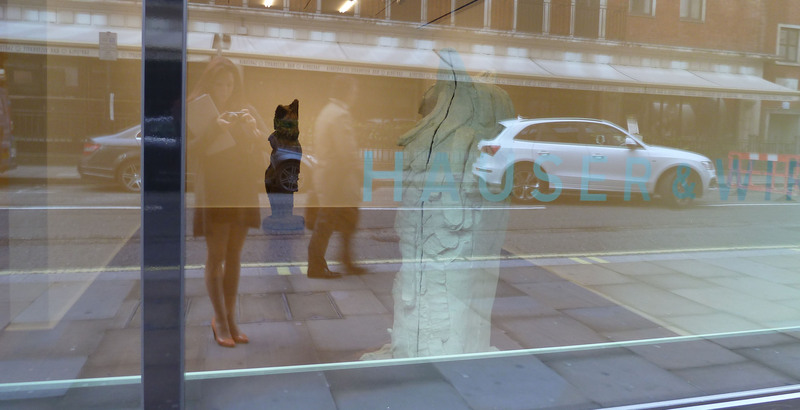 In contrast to the Picasso exhibition, I wish this show had been bigger. 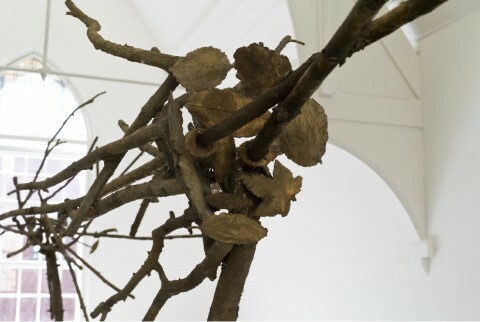 But, no more works remain so that is hardly the fault of Dulwich or the curators and, in a way, it is refreshing to see such dedicated focus and concentration. They haven’t tried to pad it out. This is a tight-knit, story-board exhibition. Alongside this, the Picture Gallery are showing Ragamala Painting from India to highlight the work of Tilly Kettle, a relatively unknown artist from their permanent collections. 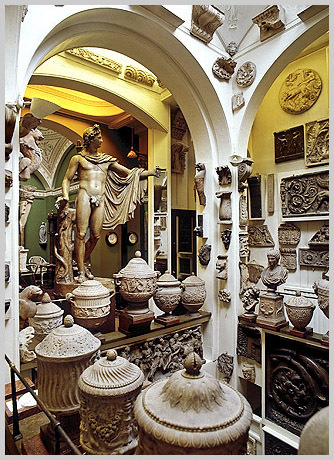 This is not so much a curated exhibition but a collection of 24 rarely seen objects. A ragmala is a set of miniature paintings depicting various musical modes of Indian music. Each painting is accompanied by a brief caption or poem, most frequently focused around love. 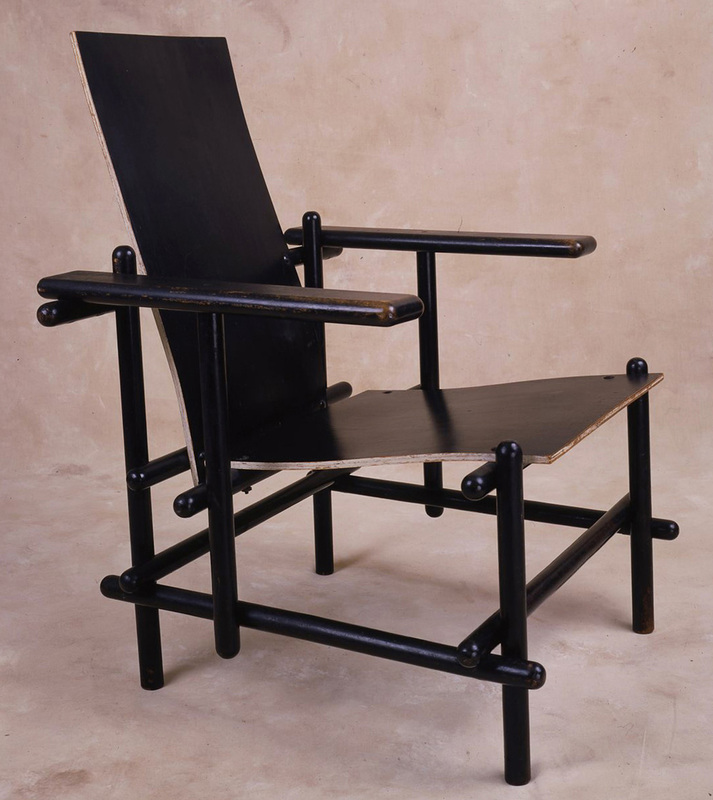 These were tactile objects for private consumption and were never intended to be seen on display. Magnifying glasses have been provided to allow you to get up close and personal with the miniatures. 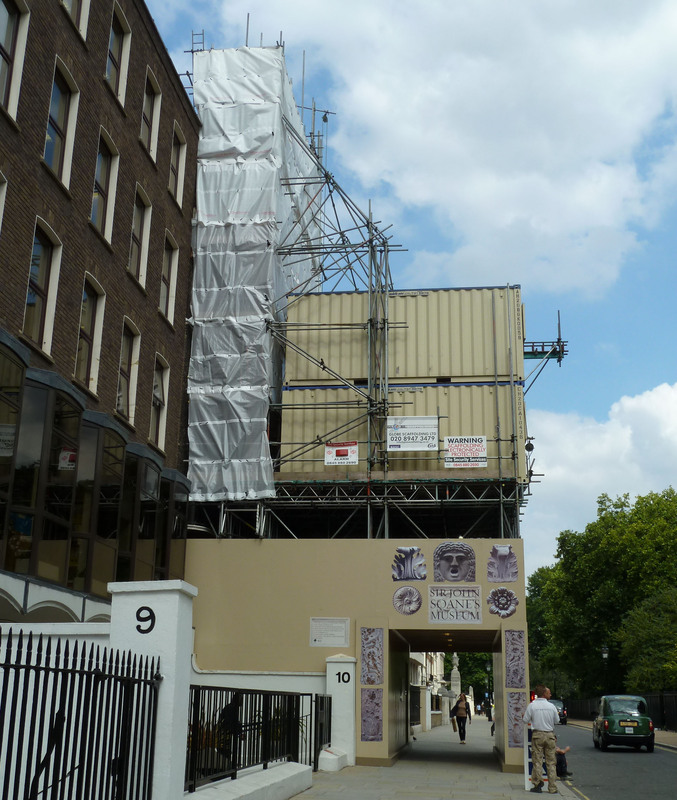 I didn’t really have the time to inspect these properly as I had spent a considerable time in the Van Dyck exhibition and I needed to head back to meetings, over Waterloo Bridge of course – where else? 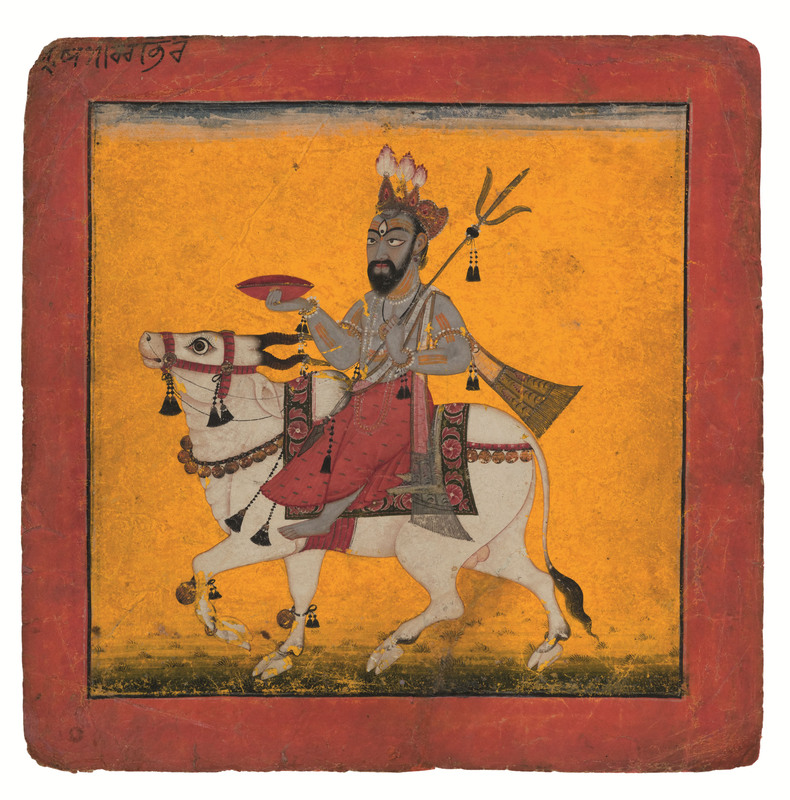 Bhairava Raga, Pahari, Nurpur, c.1690. 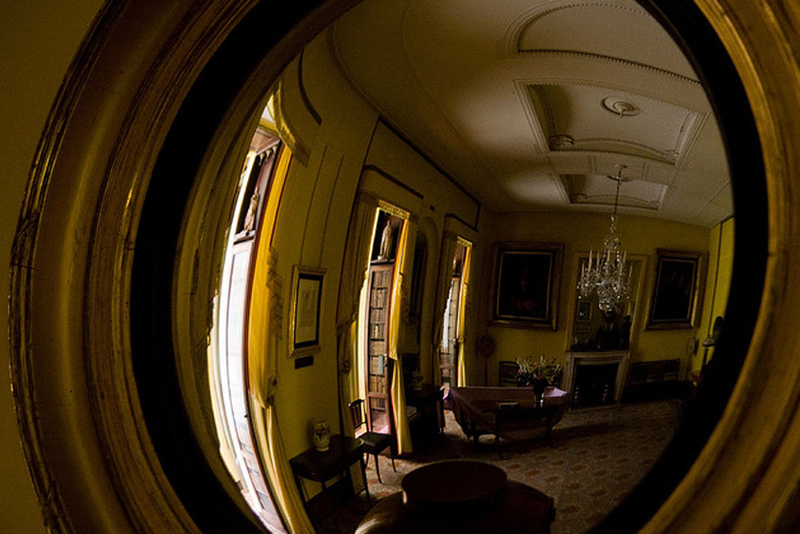 Courtesy of the Claudio Moscatelli Collection and Matthew Hollow Photography and via www.dulwichpicturegallery.org.uk. Ragmala Paintings from India: Poetry, Passion, Song and Van Dyck in Sicily: Painting and the Plague are both at the Dulwich Picture Gallery until 27th May 2012, www.dulwichpicturegallery.org.uk. Driving down to Dulwich earlier today, I decided to rely on the brain power of my sat-nav to guide the way. I thought it was a fairly safe decision to use a gadget designed for navigating to help me on my way but here I was mistaken. Admittedly, I was treated to a delightfully scenic tour of London before happening on Dulwich but I got there in the end. 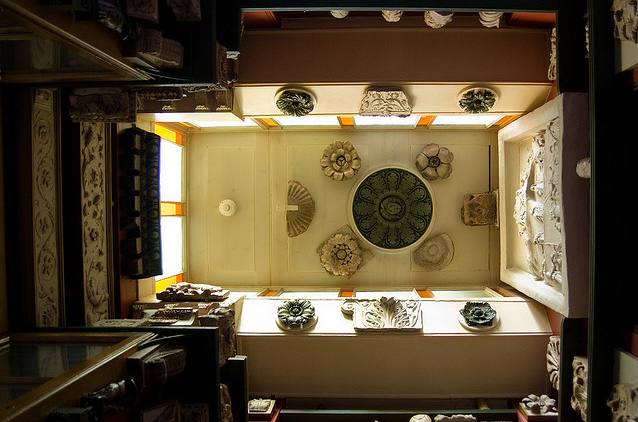 The Dulwich Picture Gallery, as always, is worth a visit for the sheer beauty of Soane’s architecture (I have a thing for Soane since one of my first ever work placements was at the Sir John Soane Museum) and its impressive permanent collection. Dulwich Picture Gallery. Own photograph. Twombly and Poussin: Arcadian Painters attempts to combine the works of Cy Twombly and Nicolas Poussin. 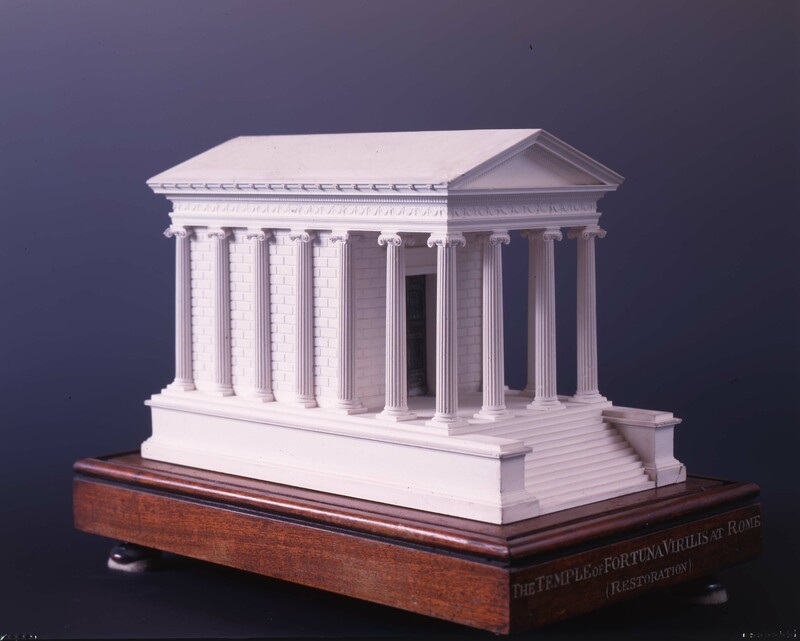 Both artists moved to Rome aged 30 and found their lifelong subject matter in this amazing city, inspired by the worlds of Classical antiquities. 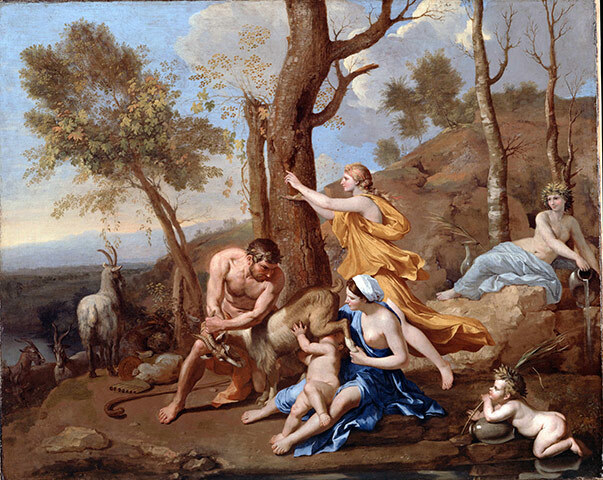 Nicolas Poussin, The Nurture of Jupiter, mid-1630s. Image via www.guardian.co.uk. There is no doubt that both these artists are great and that there is a link but I don’t think this bold idea quite pulls through. 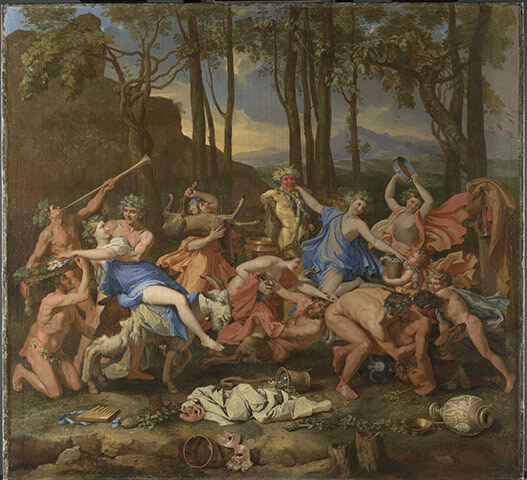 Poussin’s paintings are detailed canvases which draw the viewer into his Classical narratives. Although Twombly’s works draw you in, they draw you into a space where you often feel displaced and overwhelmed. This hazy sea of paint is what we may expect from an Abstract Expressionist and it delights us as we try to understand and read these canvases. The effects both artists achieve are very different and why shouldn’t they be. After all, they are two very different artists. 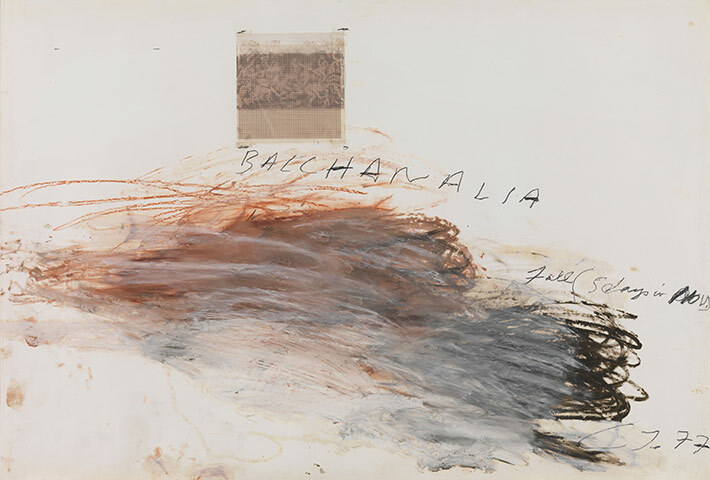 Cy Twombly, Bacchanalia-Fall (5 Days in November), 1977. Image via www.guardian.co.uk. Twombly and Poussin approach their subjects in dissimilar ways. For Poussin, the Classical is both a motif and a form of critique. It is his sole subject that he explored in a figurative manner. 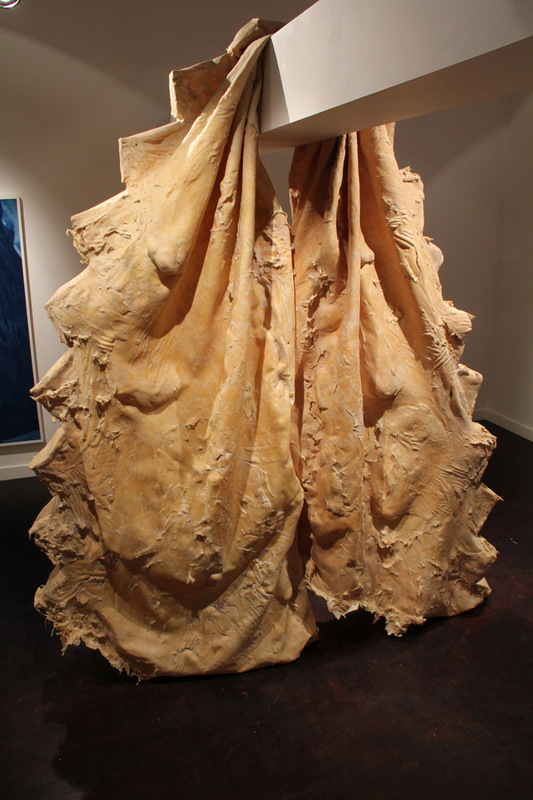 His formal, yet dramatically powerful works are carefully planned compositions in which he removes himself, and his own feelings, from the equation. 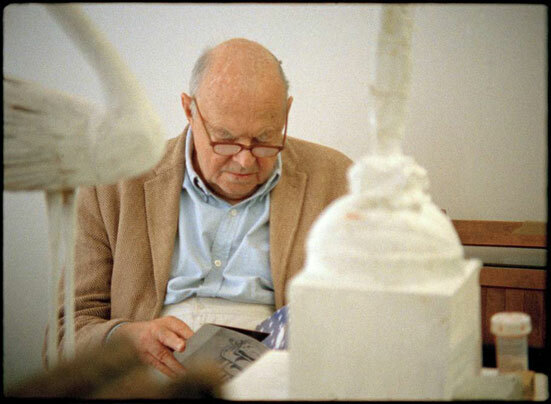 For Twombly, Classical antiquity is baffling; it is the allure of a romantic world expressed through his abstract palette that he makes his subject. The fluidity of his painting results in drips, splodges and near explosions of colour and expression. 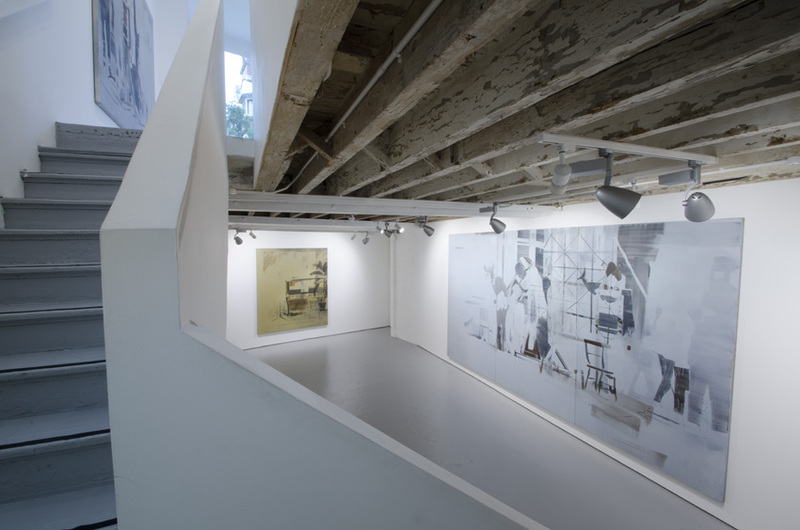 His works are infused with snippets of text, almost obliterated by heavy layers of textured paint and it is this romantic notion of hidden text that has appealed to writers throughout his career. The artists may have studied the same subject matter (which is no coincidence) and Twombly may have idolised Poussin but they are poles apart. On paper, they may be connected but when seen side-by-side on the walls at Dulwich, I’m not sure that they really are. Although Twombly was inspired by Poussin and wanted to be Poussin (he once said ‘I would’ve liked to have been Poussin, if I’d had a choice, in another time’), he fell in love with a different Rome to that of his hero – a modern, vibrant and frenetic city. Nicolas Poussin, The Triumph of Pan, c. 1636. Image via www.guardian.co.uk. For me, one of the highlights was Twombly’s Hero and Leandro telling the classical legend of doomed lovers. The painting was executed after Twombly read Marlowe’s poem on the legend. Drowning is expressed by the turbulent waves of dripping paint, expressive brushstrokes and rippling textures across the surface. 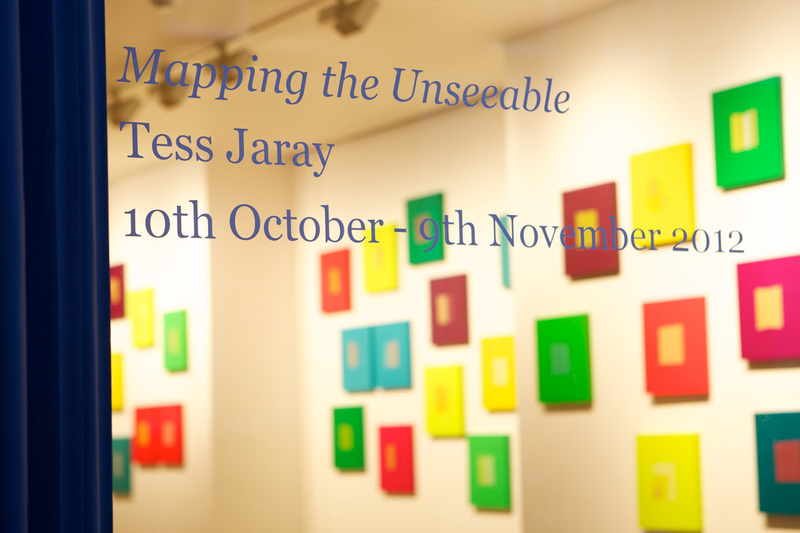 The work is entrancing; the mesmeric colours conjure up the passion and emotions of the myth. Cy Twombly, Hero and Leandro, 1985. Image via www.guardian.co.uk. So, what do Twombly and Poussin have in common? They both painted. They both painted in Rome about Classical antiquity. 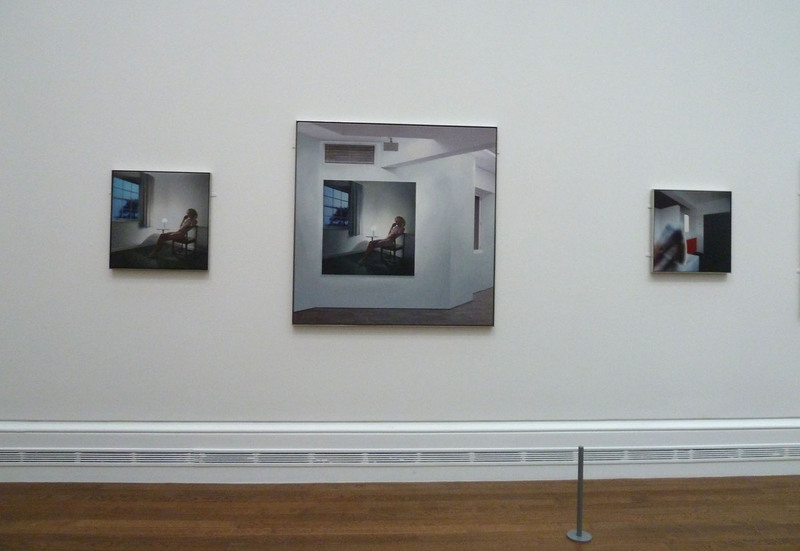 In the exhibition’s defence, I don’t think it is attempting to compare and contrast the two artists. Yes, some of the pairings provoke comparisons but that is not necessarily the point. Rather it aims to show these artists journeying through a shared ambition, albeit in different centuries and in different styles. Actually, I think the wall labels confuse visitors here. Although they are brilliantly informative, for once, they are too detailed and almost imposing. 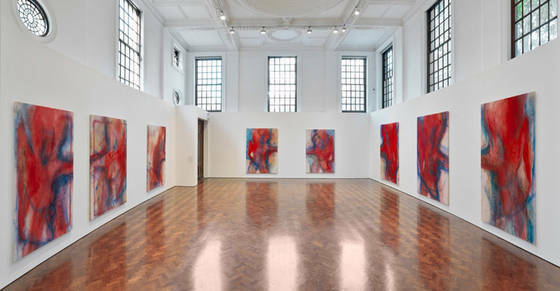 The final room consists of Twombly’s Four Seasons which are always spectacular to view – an all-encompassing journey of colour and time. Although Dulwich hasn’t been able to loan the Poussin ‘equivalents’ from the Louvre, they have included reproductions of the works so full marks to them for common sense. The show ends with Twombly and I think Twombly dominates the show. Poussin comes off a dull second which is ridiculous as he is obviously one of the greats but this just doesn’t work. 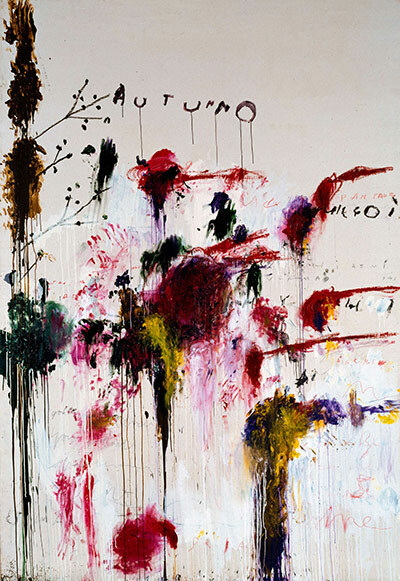 Cy Twombly, Quattro Stagioni, Autunno, 1993-5. Image via www.guardian.co.uk. 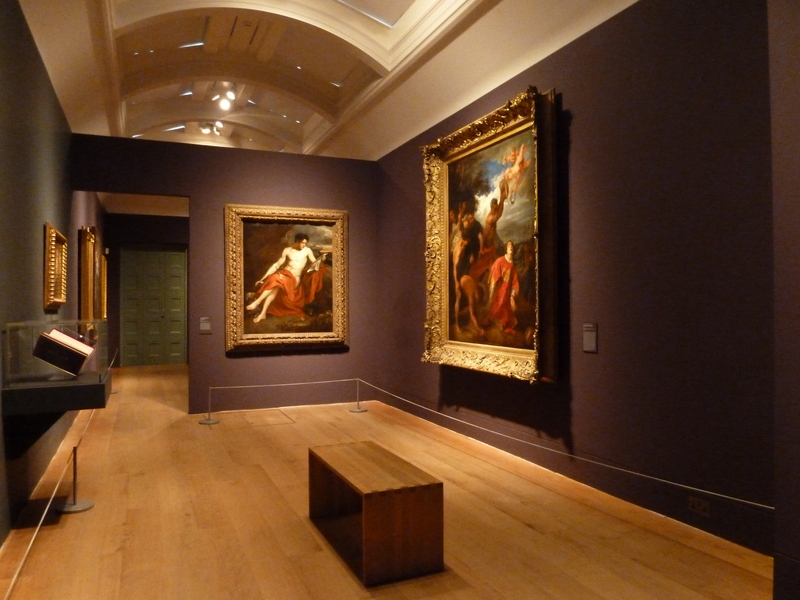 There is a special Poussin display in the main galleries showing the series of five Sacraments (held by the Duke of Rutland) mounted on green walls and, here, Poussin is able to shine rather than being overshadowed. On the Farrow & Ball white walls of the joint exhibition – clean, crisp and beautiful – Poussin is lost and his work diminished by the brash confidence of modernity. Also on show is Tacita Dean’s film portrait of Twombly which unfortunately plunges the permanent collection of room 10 into darkness. 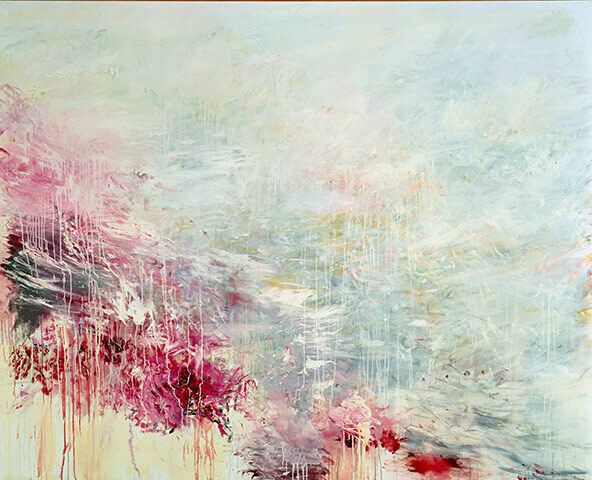 The work offers glimpses into Twombly’s life and world. 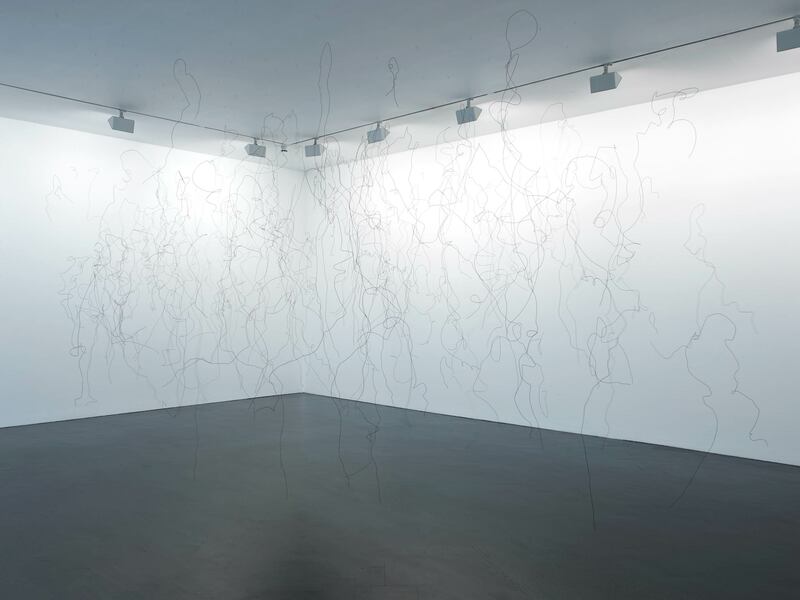 The suspension of a small screen creates a rather magical and intimate viewing experience and it is particularly poignant to see Twombly in action at the end of the show. 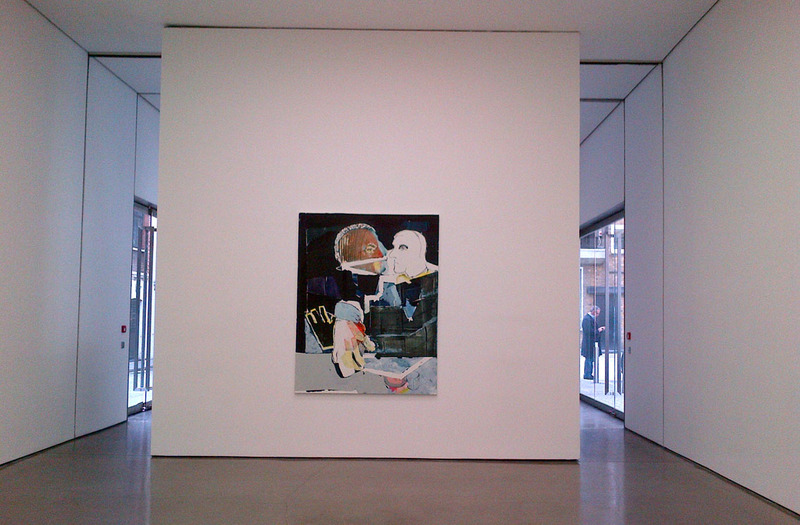 Tacita Dean, Edwin Parker, 2011. Image via www.artvehicle.com. An In Memorian sign has been placed at the start as a mark of respect to Twombly who sadly passed away on 5th July this year, just after the exhibition had opened. This exhibition is a great testimony to his works and it is a suitable tribute that he is shown alongside his idol. The exhibition is brave and, for that, I think Dulwich deserve credit but I’d have preferred to see the works apart and admire the two artists separately, giving them the individual attention they deserve. It does, however, give pause for thought and provoke us to reconsider our opinions on these two artists. You’ll never again be able to look at a Poussin without thinking of Twombly and you’ll never again be able to look at a Twombly without thinking of his idol. Twombly and Poussin: Arcadian Painters is at the Dulwich Picture Gallery until 25th September 2011, www.dulwichpicturegallery.org.uk.